Joy Marcelle of the Duluth Patch reports that The Girl Scouts of Greater Atlanta were on hand at the Berger Allied Distribution Center recently to load up 60,000 boxes of cookies to give to the American Red Cross. The donation is part of the Girl Scout council’s community service, Gift of Caring, commitment. 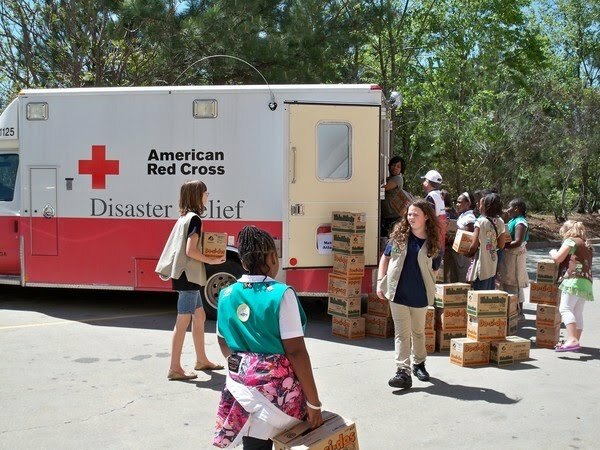 More than 50 Girl Scouts, representing areas within 34 counties, helped put Red Cross stickers on the cases of cookies and help load them into delivery trucks. This is the first year the Girl Scouts of Greater Atlanta donated to the American Red Cross. Berger Atlanta Movers donated the distribution center to store all the boxes.